Taxes : GST 12% and 18% extra. 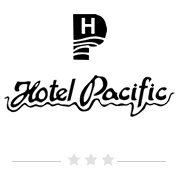 Hotel Pacific reserves the right to admission and the right to change the tariff and policies without giving any prior notice. Arrival And Departure : Hotel Check out policy is 24 hours basis. A recent Government notification requires guests to present proof of identity at the time of check in. Guests are requested to carry with them the required document during their travel. Cancellations : Reservation must be cancelled 48 hours prior to the planned date of arrival. Reservations cancelled within 48 hours of the arrival date will incur a cancellation charge. Booking : All advance room bookings are subject to confirmation only against advance payment. Cheques and credit cards are not accepted. © Copyright 2019 Hotel Pacific, Gondia (MH). All Rights Reserved.